An army of volunteers have chosen the get on the Graystone bus and use their time, talents and treasures to fulfill our church’s unified purpose: to DOMINATE our community with the love of Jesus Christ. I shared Sunday that we needed 60 NEW volunteers in the children’s ministry and 79 NEW people signed up to serve our kids. PRAISE GOD! We have a church full of servants. 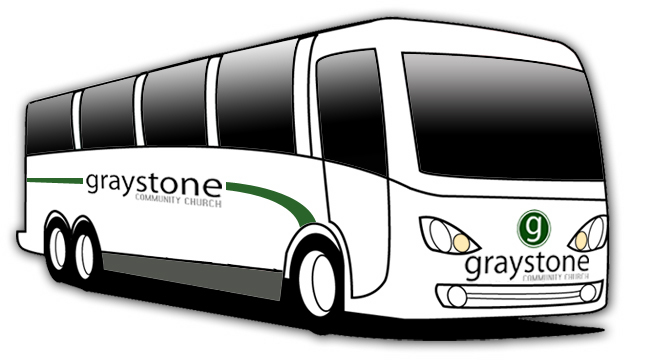 If Graystone is going to fulfill her mission, we need EVERYONE on the bus doing his or her part. If you have not hopped on the team bus, we have an empty seat with your name on it. To find out where we still need volunteers or to sign to serve, please contact Elliott Rogers, our Stewardship Pastor. His email is elliott@graystonechurch.com. Get on the Cheese Wagon!